The brief was to create a glamorous bedroom and bathroom, that made a statement and oozed luxury. 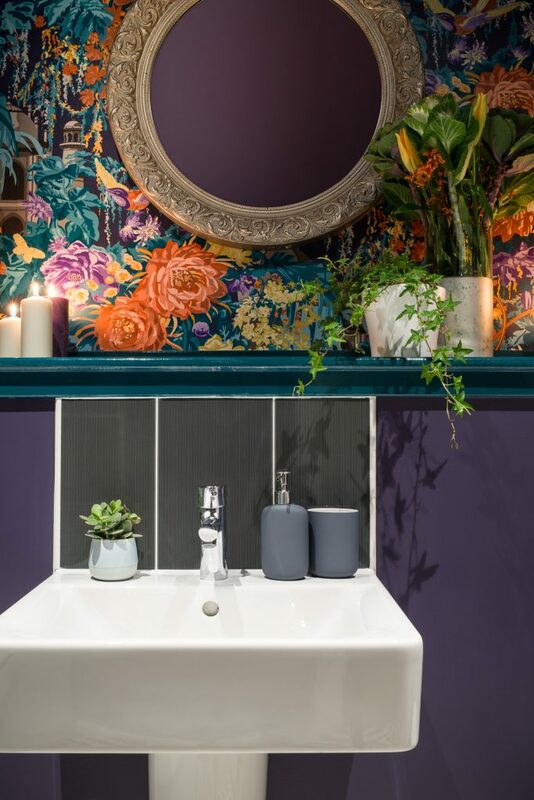 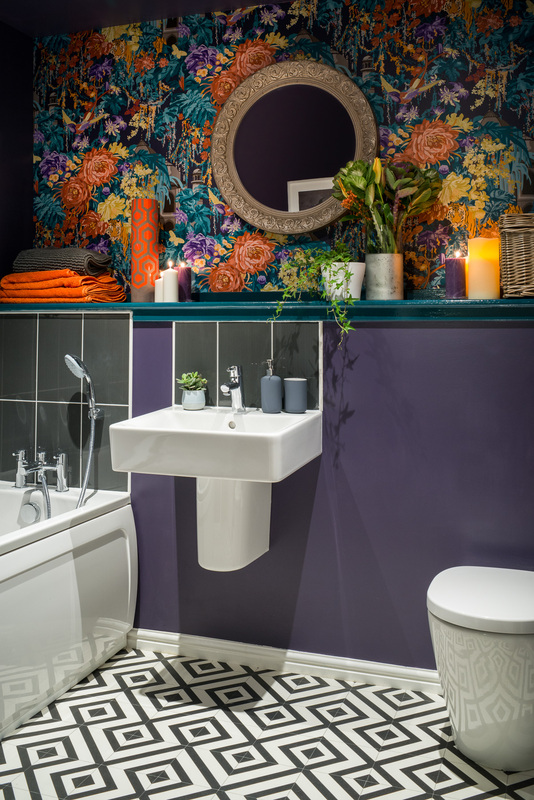 I used bright and colourful wallpaper in both rooms as well as bold colour for maximum impact. 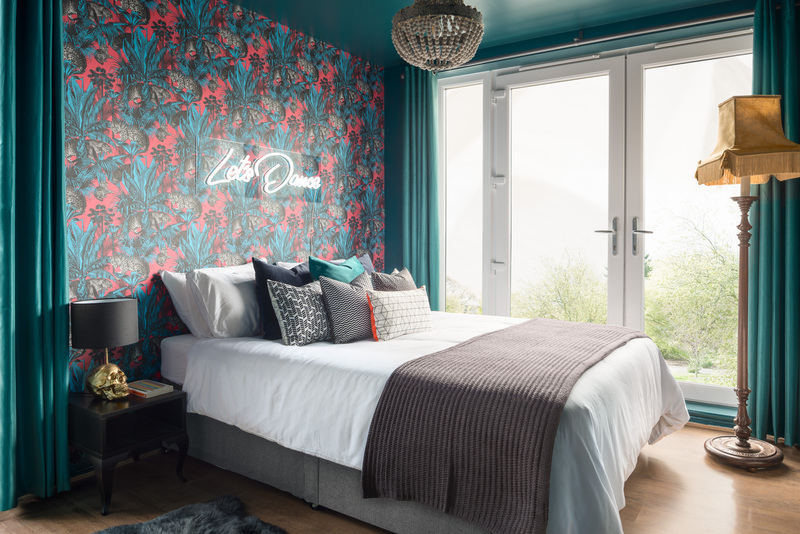 Even though this bedroom was a relatively small space, I wanted to create maximum drama and chose a stunning teal which was used across the woodwork, walls and ceiling. 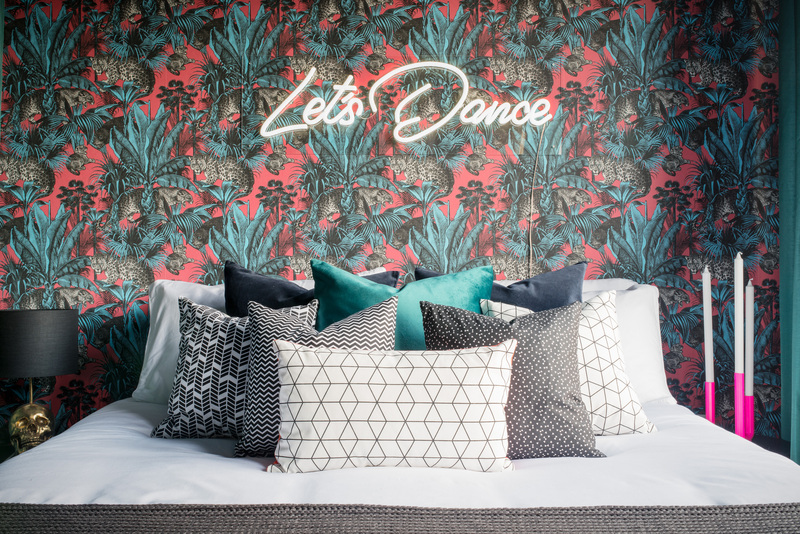 On the back wall I used the wonderful Divine Savages Faunacation Wallpaper teamed with a neon sign. 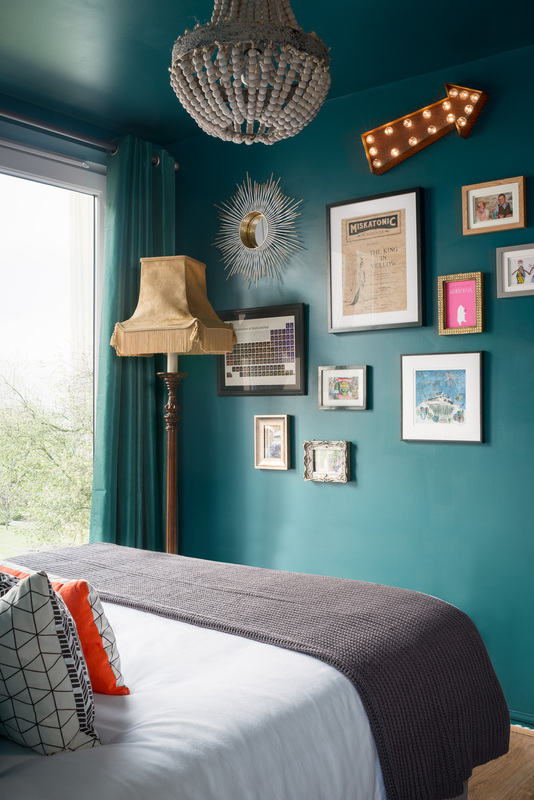 Mixed level lighting, a gallery wall and an array of scatter cushions finish off this opulent bedroom. I wanted to contrast the floral paper with a sharp geometric floor, so this black and white vinyl was used to add some edge to the room.